echo -e "\e[1;31m Colorful text"
But I have some ASCII art in the banner with special characters. 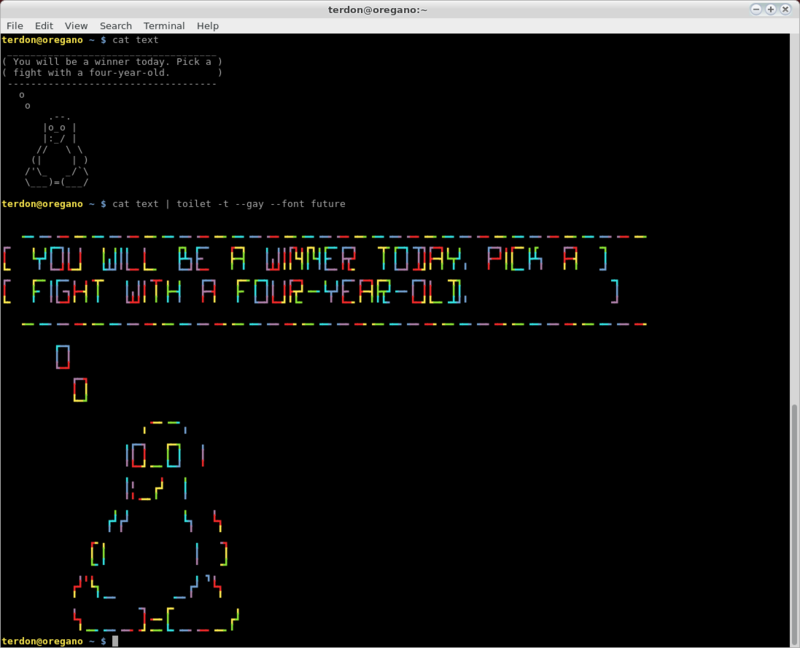 Is there any way to colorize this without escaping every single special char in the ASCII art? # every write or print on the currently selected output channel. Based on my research in this other U&L Q&A titled: Non-ASCII printable characters in sshd banner it is not possible to get SSH's banner facility to print the escape sequences necessary to colorize the output. This is in fact by design for security reasons. Therefore it's impossible to print an SSH banner in this manner. Not the answer you're looking for? Browse other questions tagged bash ssh colors profile or ask your own question. How can i check for existence of color in my linux box? How can I list the info for an array of /dev/disks using bash expansion or substitution? How to display a BASH X terminal and graphics in split view window?